Ubiquiti TOUGHCable, industrial-grade shielded ethernet cable. 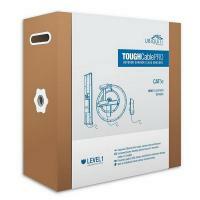 Level 1 is a Category 5e Outdoor Carrier Class Shielded Cable. Cable currently come in 1000ft (304.8m) lengths and 24 AWG. 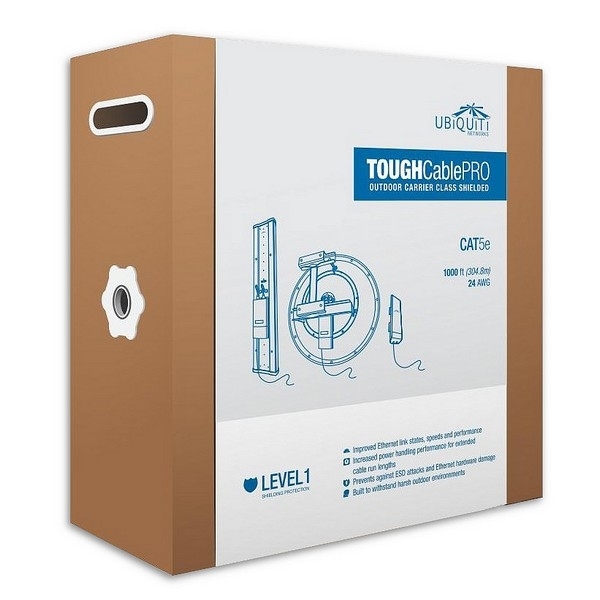 Ubiquiti TOUGHCable PRO - A Category 5e, outdoor, carrier-class shielded cable with an integrated ESD drain wire. PRICE IS FOR 1000 ft (304.8 m) !